Q. How do I locate research that cites a particular study or paper? There are two tools you can use to find who has cited an article. The first is GoogleScholar. It's a good idea to just enter the the title and one or two of the authors last names to avoid most citation errors. Once you find the record in GoogleScholar, underneath you'll see a "Cited by" link and a number. Click on this link to see a list of the works where the work was cited. 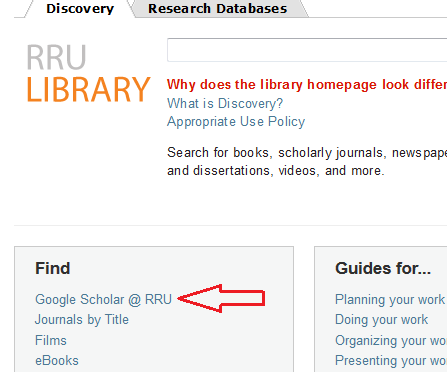 If you run this search of the GoogleScholar link provided on the RRU library website http://library.royalroads.ca/, you'll see the links to the library's purchased resources, where available. 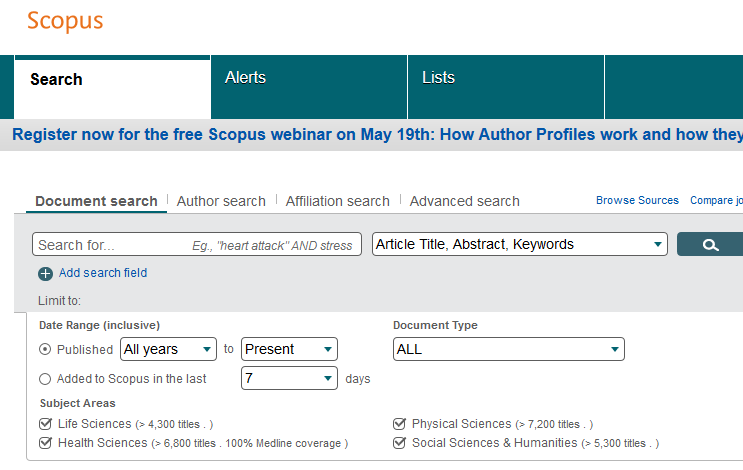 The other tool is Scopus, which is a purchased resource found off the RRU library's homepage under the Research Databases tab. Scopus is more rigorous, as it only tracks peer-reviewed research. Once logged in, enter the title for the record you want to find. On the results page you'll see the "Cited by" link off to the right hand side.